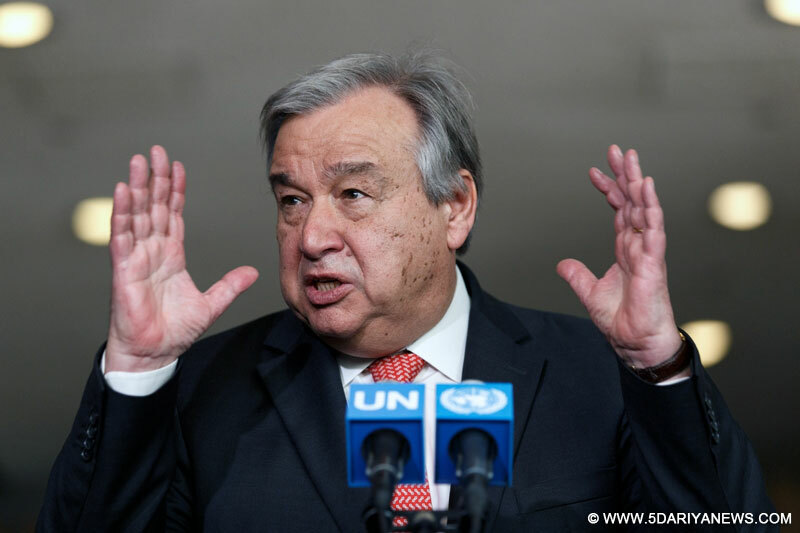 UN Secretary-General Antonio Guterres on Thursday asked governments to treat migration as a positive global phenomenon and refrain from setting up barriers to legal international migration. "Let me emphasize: migration is a positive global phenomenon. It powers economic growth, reduces inequalities, connects diverse societies and helps us ride the demographic waves of population growth and decline," Xinhua quoted Guterres as saying in an informal meeting of the UN General Assembly.Migrants make a major contribution to international development -- both by their work and by sending remittances to their home countries, he said, noting that remittances added up to nearly $600 billion last year, three times more than all development aid.States need to strengthen the rule of law underpinning how they manage and protect migrants -- for the benefit of their economies, their societies and migrants themselves. Authorities that erect major obstacles to migration, or place severe restrictions on migrants' work opportunities, inflict needless economic self-harm, as they impose barriers to having their labour needs met in an orderly and legal fashion, he said. "Worse still, they unintentionally encourage illegal migration. Aspiring migrants, denied legal pathways to travel, inevitably fall back on irregular methods. This not only puts them in vulnerable positions, but also undermines governments' authority itself. "The best way to end the stigma of illegality and abuse around migrants is, in fact, for governments to put in place more legal pathways for migration, he said. "This will remove incentives for individuals to break the rules, while better meeting the needs of markets for foreign labour. It will also aid in efforts to clamp down on smugglers and traffickers and to assist their victims. "Migration is also a source of political tensions and human tragedies, said the Secretary-General. "The majority of migrants live and work legally. Unfortuantely, others live in the shadows, unprotected by the law and unable to contribute fully to society. And a desperate minority put their lives at risk to enter countries where they face suspicion and abuse. "The Secretary-General said the consequences include increased mistrust and policies aimed more at stopping than facilitating human movement. "I call for us to focus on the overwhelming positives of migration and to use facts not prejudice as the basis for addressing its challenges. Above all, I urge a respectful discourse that places our collective humanity at the center of the debate," he noted.He stressed the need to address the mixed flows of refugees and migrants and also urged all member states to engage openly and actively in the negotiations ahead.As a blow to the global initiative, US President Donald Trump decided in early December to end his country's participation in negotiations for the Global Compact on Migration, on the grounds that the initiative was inconsistent with US immigration and refugee policies and his administration's immigration principles.The US is home to the largest number of international migrants in the world.